Taleggio D.O.P. 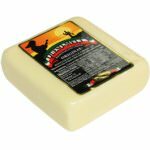 is a soft Italian gourmet cheese that is considered a delicacy when served in dishes or when served on its own as a delightful Italian taste treat. 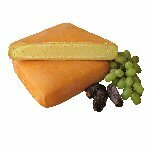 It is a gourmet cheese of very old origins, perhaps even before the 10th century. 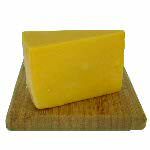 Its regional origin was the Val Taleggio, in the province in Bergamo, from which derives the name of the cheese. Currently the area of production and ripening of the Taleggio cheese is Lombardy, Piedmont and Venetia regions. 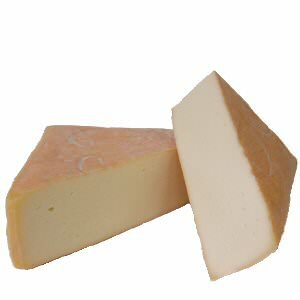 The rind of the cheese is thin, and of soft consistency; its color is natural rose-orange, with the presence of a characteristic grey and green light sage color mold. The paste is uniformly compact, softer under the rind and the color changes from white to pale yellow, with some small circles. The taste is sweet, with light acidic vein, slightly aromatic, sometimes with a truffle aftertaste; the odor is characteristic. Taleggio gourmet cheese should be served to room temperature, to fully display its taste and its aroma. It is not necessary to remove the rind, but it is sufficient to gently scrape it. Ingredients: Pasteurized cow's milk, enzymes, salt, animal rennet.